The Australian life coach was engaged to be married at the time of her death. 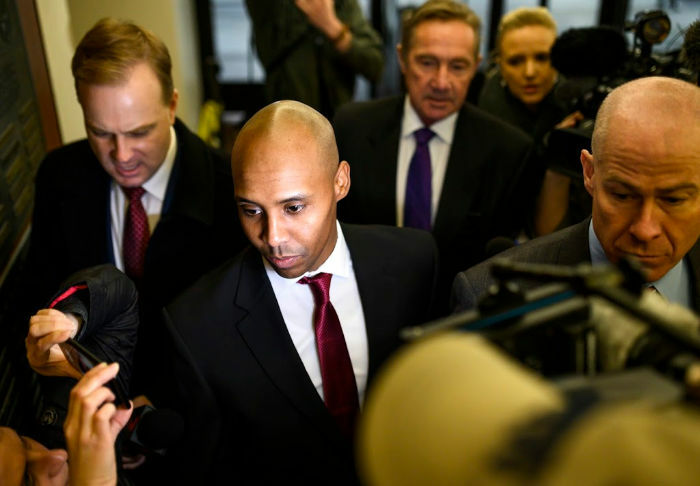 The trial of Mohamed Noor, the Minneapolis police officer who shot and killed Australian life coach Justine Ruszczyk Damond in 2017, began on Tuesday as the court heard evidence from her fiance, as well as opening statements from the prosecution and defence. The court heard that Noor, who is facing two counts of murder and one of manslaughter in relation to the fatal shooting of Damond outside her home, believed he was in a “classic ambush scenario”, reports The Brisbane Times. Damond, who grew up in Sydney, was killed in June 2017 after she called 911 to report a possible sexual assault taking place in an alleyway near her home in the US state of Minnesota. Noor and his partner, Matthew Harrity, responded to the incident, which defence lawyer Peter Wold described as a “perfect storm with tragic consequences” during his opening remarks. “It was a tragedy but in no way was it a crime,” he is reported to have said. Justine, who worked as a spiritual healer and meditation coach, lived in Minneapolis with her fiancé Don Damond, who also gave evidence on Tuesday (local time) according to local newspaper The Star Tribune. Damond told the court about receiving the call from investigators saying Justine was dead, revealing he was then told during a second call that she had been shot by an officer. He also recalled informing Justine’s family in Australia of her death, some of whom were reportedly present in the courtroom, describing it as the “worst phone call” he’s ever had to make. Noor pictured arriving at court. Source: Getty. Hennepin County prosecutor Patrick Lofton also addressed the court, revealing that the unarmed victim had been barefoot and wearing pyjamas at the time of her death, holding only her iPhone. The prosecution also questioned a statement made by Harrity, who took several days to report that the officers had heard a loud thump on the back of the car just before Damond was shot. According to The Brisbane Times, Lofton also revealed there was no DNA evidence to prove that Damond ever touched the officers’ car. If Noor is found guilty he will be the first police officer in the state’s history to be jailed for killing a civilian. Under US law, a third-degree murder charge indicates the homicide was not deliberately planned or committed in the process of committing a felony, while second-degree manslaughter indicates that there may have been criminally negligent or reckless conduct involved in the death. The degree of charges dictate what level of penalty can be applied by the court.